Vampire legends aside, garlic is one of those foods that always seems to make it into articles about healthy foods you should be eating. 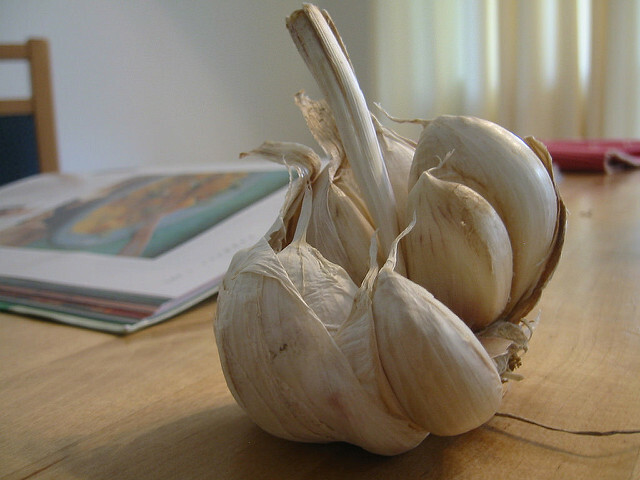 The ancient Greek physician, Hippocrates, used to prescribe garlic to his patients as medicine. And many other homeopathic doctors since then have followed in his footsteps. Closely related to onions, leeks, and shallots, garlic contains allicin, which has been widely studied for its healing properties. It is known to provide natural antimicrobial support and cardiovascular support. And as an antioxidant, garlic is also a source of vitamin A, beta carotene, and over 400 other carotenes. But despite all of these facts about health and wellness, many people absolutely hate the taste and smell of garlic. Its strong flavor can be too much to handle at times and really overpower the other flavors in your favorite recipes. In this article, we’ll look at ways to tone down the flavor of garlic while cooking so you can get the health benefits of this powerful food. The intensity of your garlic’s flavor has a lot to do with how you prepare it. For example, mincing garlic with a knife produces a less pungent flavor than making a purée or using a mortar and pestle. If you cook garlic slowly on low heat, this will also help tame its flavor. You can also soak garlic in acidic ingredients, like lemon juice, to make the flavor less intense. Here are a couple of our favorite easy recipes that feature garlic as a prominent ingredient, but that are balanced enough to please the garlic skeptics. It’s easy to get excited about freshly made guacamole when you go out to your favorite Mexican restaurant, but you can make a delicious and healthier version at home for a fraction of the cost. The healthy fats in avocado really cut the pungent qualities of garlic, creating a balanced and mellow taste. Meanwhile, the acidic lemon juice balances out the garlic even further. The acidity in the white wine vinegar in this recipe is great for mellowing out the garlic flavor. Next time you make a salad, skip the high-calorie, high-fat ranch dressing and use this heart-healthy dressing recipe instead. Still Can’t Stand Garlic? Try Supplements. If you’ve tried these tips and recipes and still can’t convince yourself to eat raw or cooked garlic, there’s a solution for you. 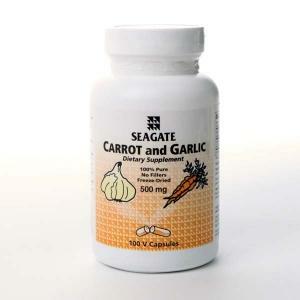 All-natural dietary supplements, like our Carrot and Garlic Capsules, deliver the benefits of garlic to your body with none of the taste or smell. For regular maintenance support, we recommend taking one to three capsules per day with meals, unless otherwise directed by your doctor.